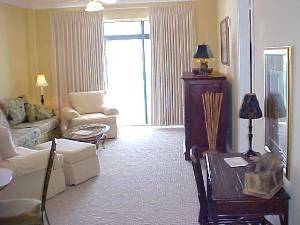 1500 square foot GULF FRONT condo in the beautiful GRANDE POINTE condominium complex 3 bedroom/3 bath. 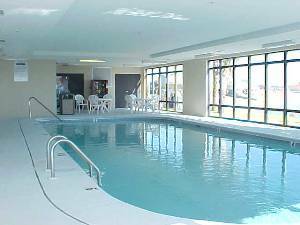 Grand Pointe Resort, completed in 2002, is situated in Orange Beach which is on the Alabama gulf coast. Beautiful sugar white sand and crystal clear emerald green water. This is the perfect place to enjoy your vacation. 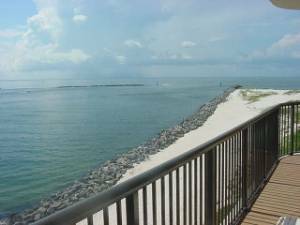 Orange Beach is perfect beach front community; it has everything that you will need for your vacation; fishing, parks, restaurants, golf courses, museums, children’s activities, etc. Both living room and master bedroom have sliding glass doors which lead to a spacious deck that directly faces the Gulf and the Pass (the entry and exit point for all boats entering the Gulf.) It is common to see dolphins swimming just off shore. From the deck, you will see the bridge that leads to Florida, the Intercoastal waterway and Ono Island. Walk down about 50 feet to the jetty and enjoy some of the best fishing in the area. 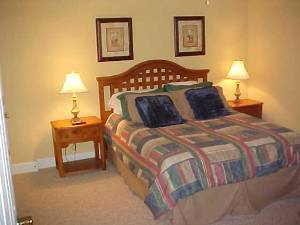 All rooms are furnished with beautiful top of the line furniture. 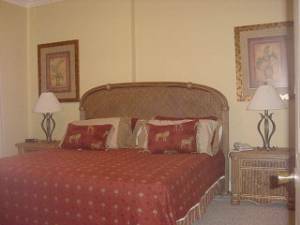 This condo sleeps up to 8 people (1 king, 2 queens and 1 queen sleeper). The fully equipped kitchen and wet bar with icemaker have all the comforts of home. The condo is equipped with TV’s and DVD players.